It was being rumoured for years, yet the announcement still took everyone by surprise. 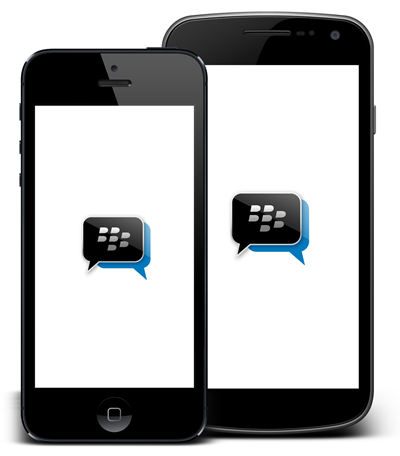 It’s official, BBM, Blackberry’s messaging service will now be available for iOS and Android users. BBM will be available on iOS 6 and on Android 4.0 Ice Cream Sandwich and higher. At the company’s developer conference, Software Vice President Andrew Bocking said “The time is definitely right for BBM to become a multi-platform mobile service.” With this move BBM will now become the newest player providing cross-platform messaging services. BBM currently has 60 million monthly active users. But over the years the messaging service arena has changed drastically. Services like iMessage, which has 140 million active users, and others like Facebook Messenger, MessageMe etc. who also have an equally large user base. However, its Whats App which might just be BBM’s biggest competition. With over 10 billion messages sent each day, Whats App is a clear winner in this space. One major factor which might work in favour BBM (After its approved by iStore and Google Play) is that it will available for free. However, the onus will be on the company and the current users of BBM to convince iOS and Android users to use the application. Is this move by Blackberry too little too late? Or is this a masterstroke? We will have to wait and watch. Pocket App is a cross platform mobile solutions company. With an experienced team of developers, designers and managers we make sure that we deliver you the perfect application for your brand and help you achieve your digital goals.